Several years before the passage of the National Historic Preservation Act in 1966, Halprin and architect William Wurster “recycled” this one-block site containing a former chocolate factory. 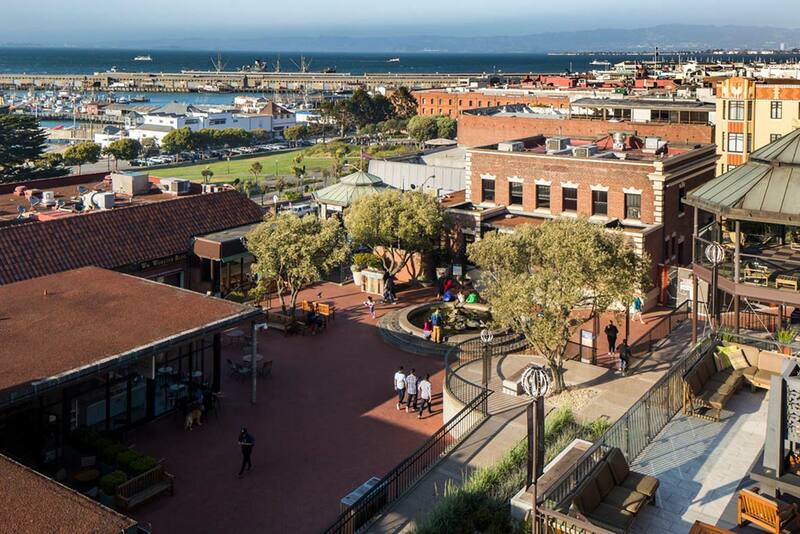 They transformed the neglected complex into a shopping and tourist destination, creating a viable adaptive reuse model for other cities. 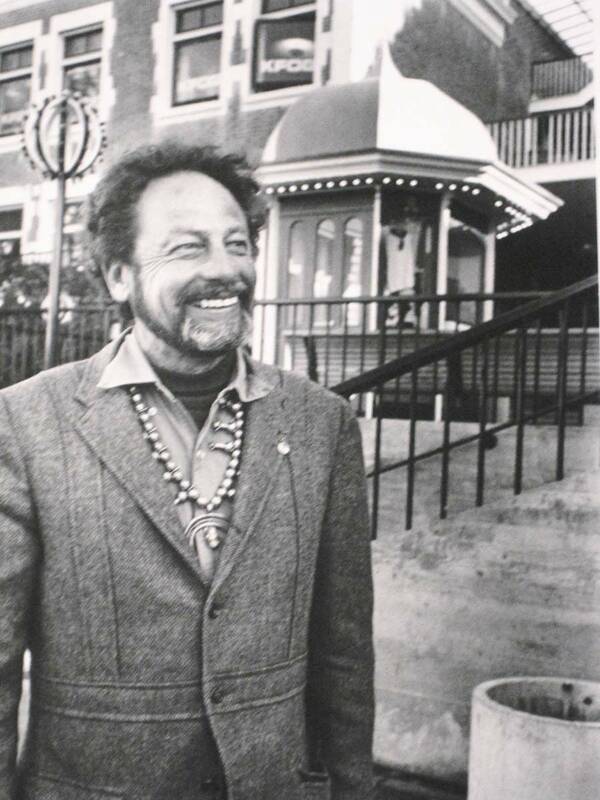 Halprin installed shops at the street level and designed an elaborate entry stairway to bring in visitors from the waterfront. 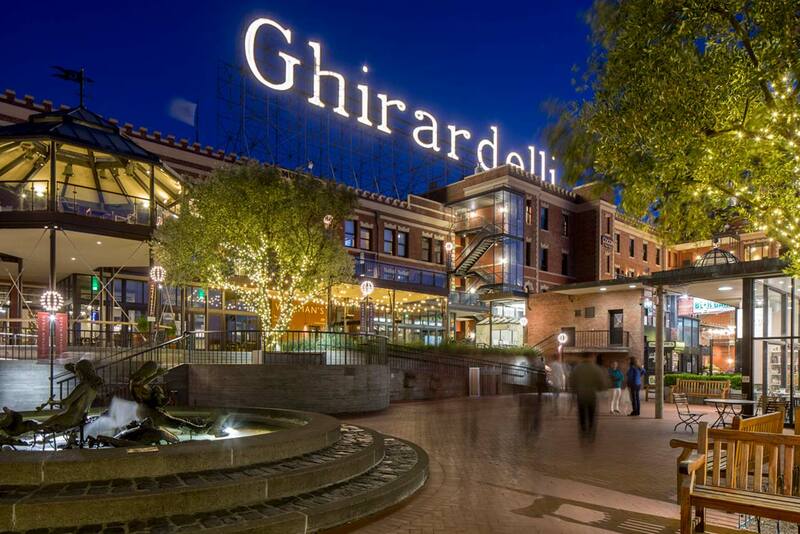 He also suggested reorienting the now iconic Ghirardelli sign to face the commercial development. 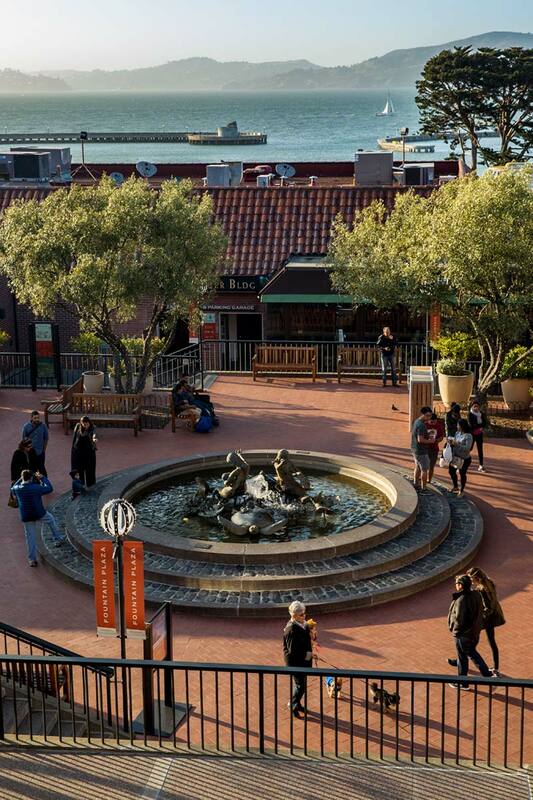 Still a vibrant shopping center, Ghirardelli Square (with the innovative underground garage conceived by Halprin), is an early and successful example of historic preservation. 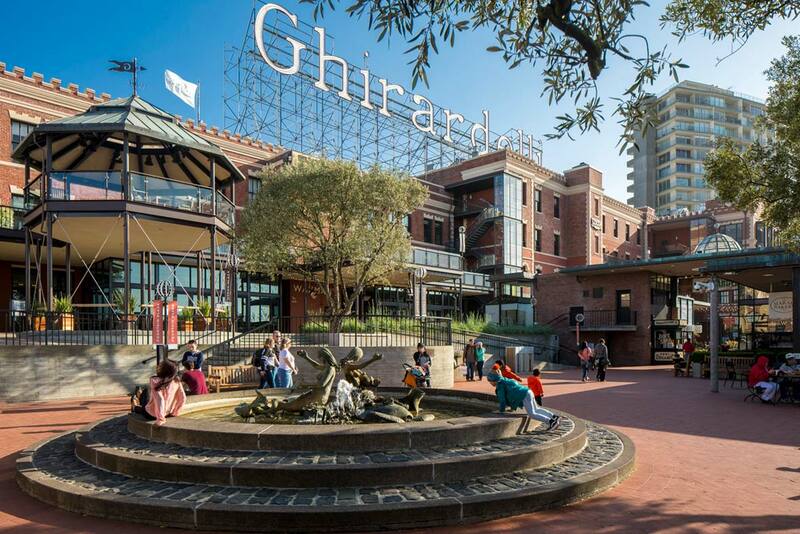 Since its transformation into a shopping center, Ghirardelli Square has become one of the top tourist destinations in San Francisco. Its popularity and association with the city led to its designation as a city landmark in 1970 (Landmark #30), and listing in the National Register of Historic Places in 1982. 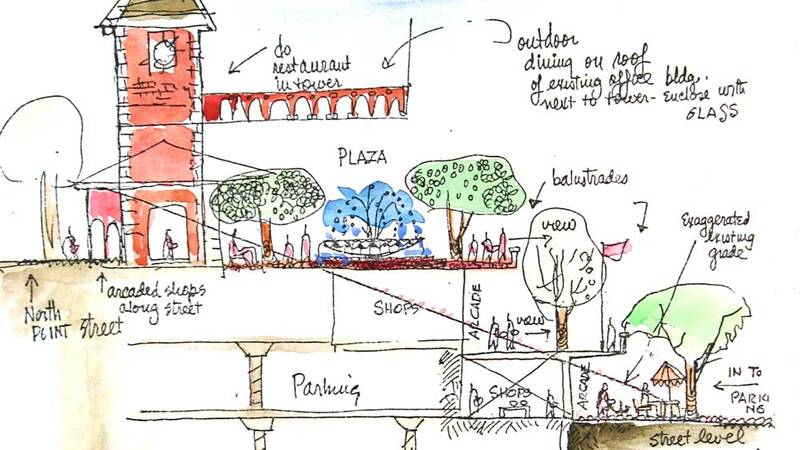 These designations have resulted in the development of design guidelines for the commercial property. Major projects must comply with the design guidelines and the Secretary of the Interior’s Standards prior to moving forward. For example, a recent rehabilitation at the site underwent rigorous regulatory review at the city level, incorporated public comment, and included historic preservation professionals on the project team. Some elements of the site have been updated, including the lighting, while new elements have been introduced, such as railings and movable signage. 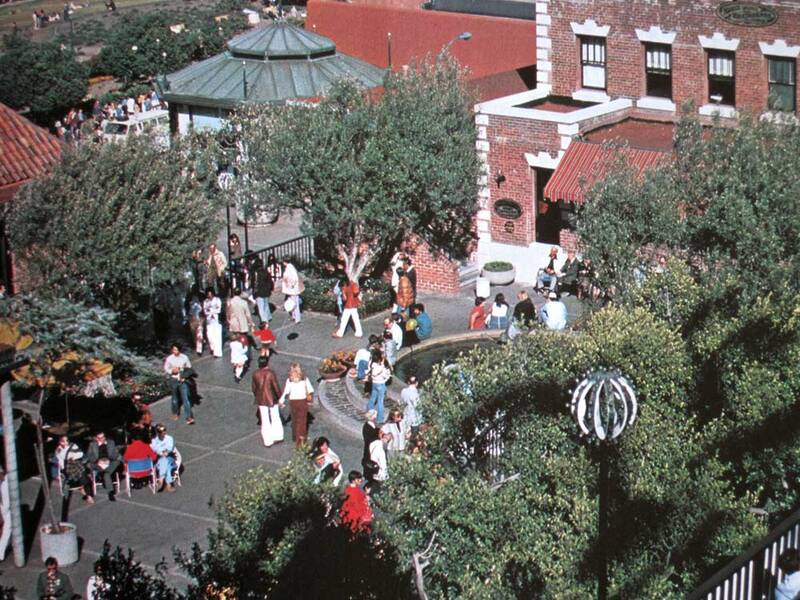 But overall, the character of the 1960s redevelopment project remains intact. 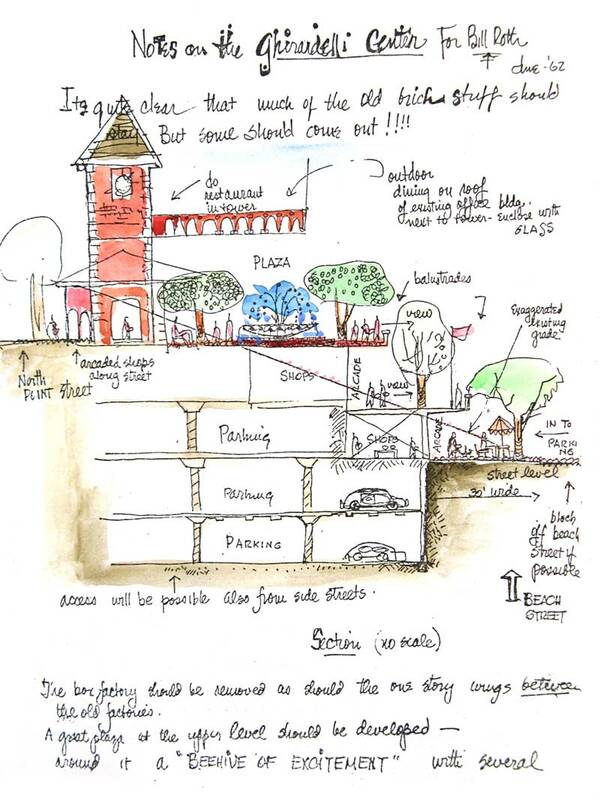 However, the visibility of Halprin’s involvement could be improved. 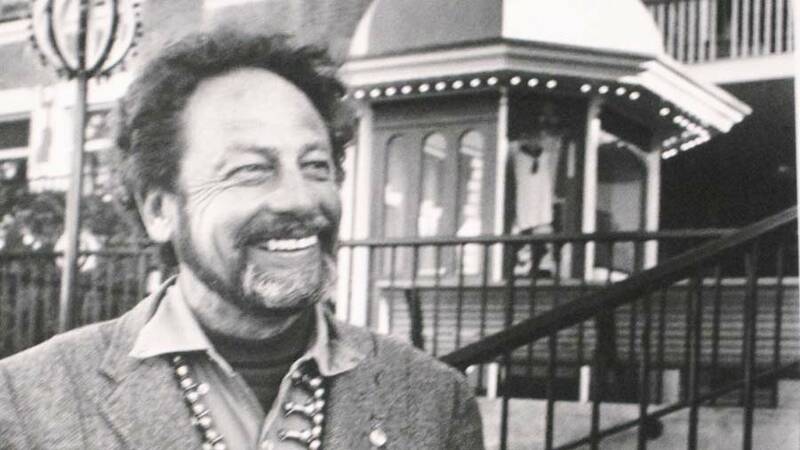 While the site is listed in the National Register for Historic Places, and the nomination includes Halprin as a “Builder/Architect,” the discussion focuses primarily on the formerly industrial buildings. 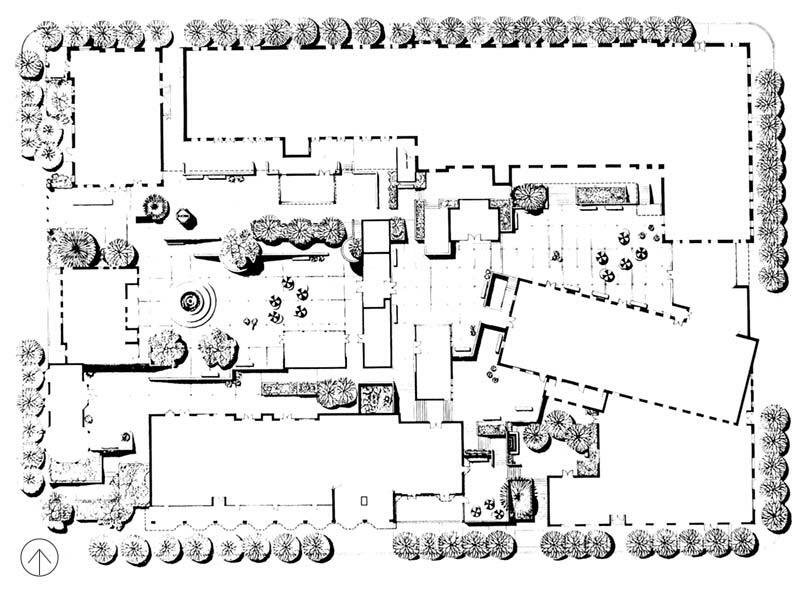 The nomination form recognizes the influence of the redevelopment on other historic preservation projects across the country, without ever mentioning Halprin’s contribution to the project. 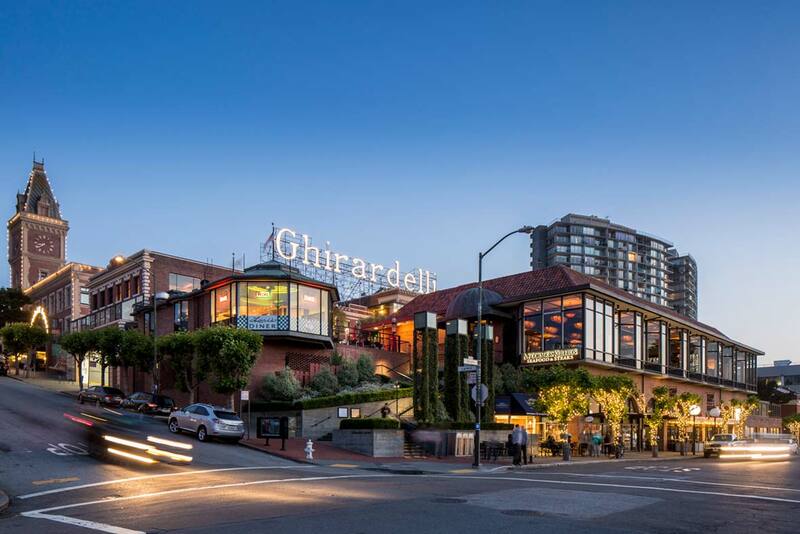 Furthermore, the history of the Ghirardelli Square outlined on the owner’s website does not mention Halprin or any of the architects involved. Rectifying this elision of historic facts would not only be relatively easy, it would provide an excellent example for others to follow. Lloyd is a commercial and editorial location photographer specializing in landscape architecture & design, industrial, aerial, and environmental portraits. He is currently Director of Photography and Creative Media at SWA Group, where he oversees creative, conceptual, and execution of photography and multimedia work. 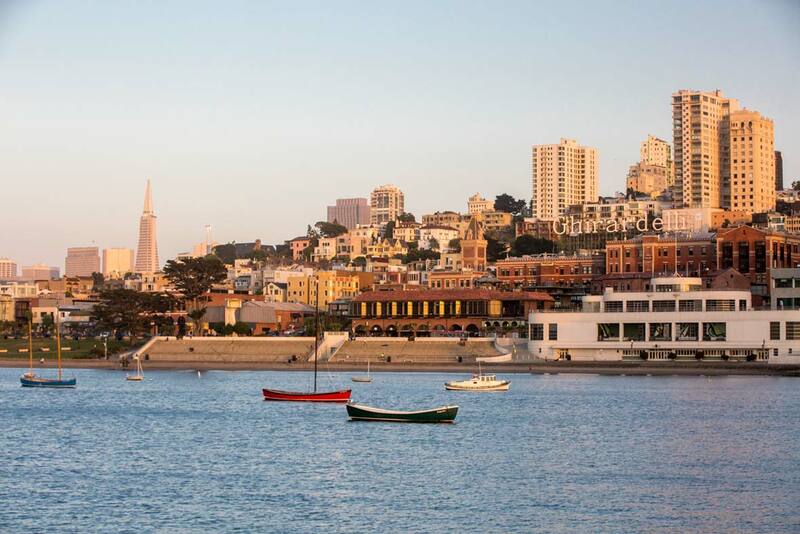 He is based in the San Francisco Bay Area.